Choose from Sunday Banquet for ONLY £12.99 per person or get 20% off the Main Menu. 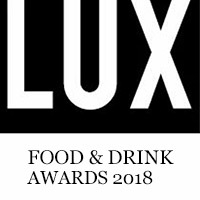 Our two Private Dining Rooms can accommodate 30 people (VIP Private Dining) and 40 people in the Gold Room (Open Private Dining) for lunch or dinner, and up to 60 for cocktail parties. Rivaj of India have many menus, so you can choose the right meal for you. Simply have a browse and choose your meal and let our Chef do the rest as you relax, unwind and taste the many flavours Rivaj of India has to offer. Please use our simple reservation booking form to book your table at Rivaj of India. It has been designed for ease of use, so it’s fast and simple to use. We will confirm your booking by phone. Rivaj of India run many special offers throughout the week and we ask you to view these offers as they are very popular. And, being Rivaj, there is no change in the high quality food, simply the price. Rivaj of India is an Indian Restaurant Wigan that provides superior Indian food through its Restaurant and Takeaway to customers throughout the local area. 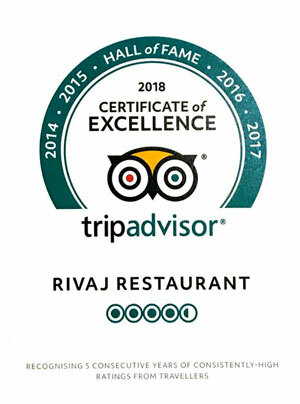 As Indian restaurants in Wigan go, Rivaj of India is the preferred choice of the savvy diner, and is truly a premiership venue for a satisfying Indian food experience. The business, which is located in Wrightington (Wigan), was established in 2010, and has 25 years of experience in the Indian Restaurants sector. The Indian food menus are wide ranging for both the fine dining, exclusive Indian food buffet and express Indian takeaways, Well thought out and offering even the most discerning client the possibility to try a dish they may never have previously experienced. 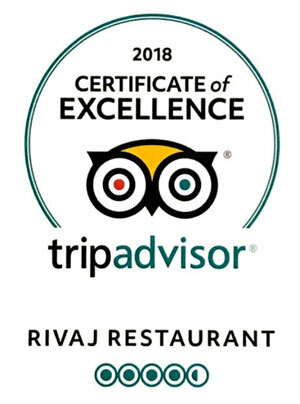 With a large, highly skilled and qualified team of enthusiastic employees, Rivaj of India is fast becoming one of the premier places to eat in Wigan. The Restaurant has a steady customer base, situated around Wigan, including the hospital, council and local businesses. RIVAJ – Translated ‘tradition’ or ‘custom’ in Indian sanskrit is the inspiration behind the creation of this exquisite dining restaurant. Inspired through a wealth of Indian flavours that has been handed down from one generation to the next;the creators of Rivaj bring you a step closer to tasting the very best history has to offer. Combining traditional elegance, an intimate ambience and unequalled service, Rivaj of India has the hallmark of true excellence.